A friend of mine, former Army Major Josh Mantz has an amazing story. Josh’s story and passion for life is both amazing and an inspiration for all Americans. Legally dead for 15 minutes, Josh came back only to fight an emotional and spiritual war with himself as his life spiraled out of control back home. His story truly defines Josh’s journey into hell and climbing back out with an appreciation for the growth we all can find in suffering and his new unrelenting drive to support fellow veterans and motivate and inspire fellow Americans. 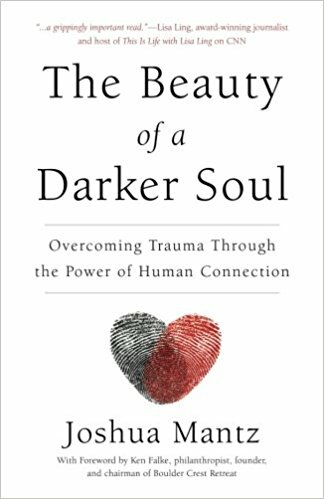 His book, The Beauty of a Darker Soul will come out next year and if you are looking for a book to shed perspective on how to Overcome and handle life’s adversity, I highly recommend it. I myself have been through some pretty tough adversity both from leadership failures, to grievous personal injury, to emotional impact from loss of friends and loved ones. I believe strongly in perspective and the strength and resiliency that comes from having endured extreme amounts of hardship, or just like the name of Josh’s book, The Beauty of a Darker Soul, which doesn’t mean it’s great to live in darkness, but more the perspective that those who have witnessed first hand, extreme adversity or depravity can appreciate the simpler things, such as Freedom, a light in the dark, or just being alive. I believe only those who have had their souls blackened by evil, pain, or hardship can truly appreciate life, hence the beauty of a darker soul. Last week I met such a man. His name is Henry Flesher, and Henry is a Holocaust survivor. I met Henry at a great event, called God and Country in upstate New York. It was celebrating many of our nation’s heroes from World War II, Korea, and a couple of us from our current wars. All of these men were amazing heroes, but Henry stood out to me. I met him at the airport and instantly was amazed at the energy and passion he possessed. Henry is now 93 years young, but he moves and acts like a man at least twenty years his junior. Henry almost always had a smile, was quick to laugh and even quicker to enjoy a drink and good conversation. We hit it off immediately and I enjoyed listening to his amazing stories of life and his horrifying stories of enduring in multiple concentration camps as a young man. Henry was identified as a Jew and separated from his family at the age of 16. He moved among several camps before ending up at Buchenwald, one of the Nazi’s largest slave and death camps. It was there Henry spent the next four years in forced labor, enduring beatings, starving, extreme cold, and stripped of his identify. It was at Buchenwald that Henry ceased to be Henry Flesher and he became 177153 which was branded on his arm by a tattoo bearing those numbers. Henry hit his lowest point when he came down with dysentery and couldn’t stop soiling himself. Despite his weakness, the Nazis forced him to continue working and refused to allow him to change his clothes or wash. He was beat for his sickness, weakness, and smell. One night, so weak from the fluid loss, he resigned his will to live and he was ready to die or kill himself. Thankfully He decided to make one more effort to survive and on a cold rainy night, crawled through the mud to a building where dead bodies where stacked. Henry stole the clothes from a body, cleaned himself in the rain and crawled back to his building. If Henry had been caught, the punishment would have been death. A couple years later, the war ended and Henry was liberated by American troops. Henry vowed to never take a day for granted, to love and celebrate his family, and love every moment of life. These are some of my same tenets, to Live Greatly and Love Deeply. Henry is living this daily and I wish everyone could endure some level of hardship as he did to develop the love of life and people he has. Henry is the living example of the beauty of a darker soul. So my advice to you is to embrace this life, seek out adversity, and never tolerate evil. You will be a better person for it in the end.